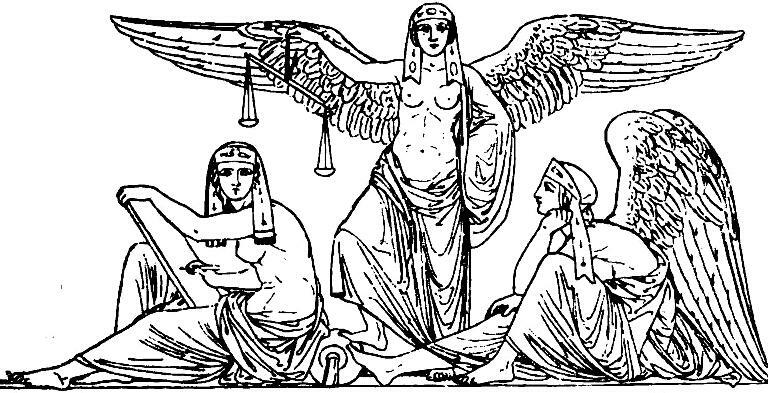 OR THE ORACLE OF THE PROPHETESS VOLA. The Prophetess, having imposed silence on all intellectual beings, declares that she is going to reveal the decrees of the Father of Nature, the actions and operations of the gods, which no person ever knew before herself. She then begins with a description of the chaos; and proceeds to the formation of the world, and of that of its various species of inhabitants, giants, men, and dwarfs. She then explains the employments of the fairies, or destinies; the functions of the gods; their most remarkable adventures; their quarrels with Loke, and the vengeance that ensued. At last she concludes with a long description of the final state of the universe, its dissolution and conflagration; the battle of the inferior deities and the evil beings; the renovation of the world; the happy lot of the good, and the punishment of the wicked— The text is taken from the edition of the Edda just published in Stockholm. On the shield they cut.